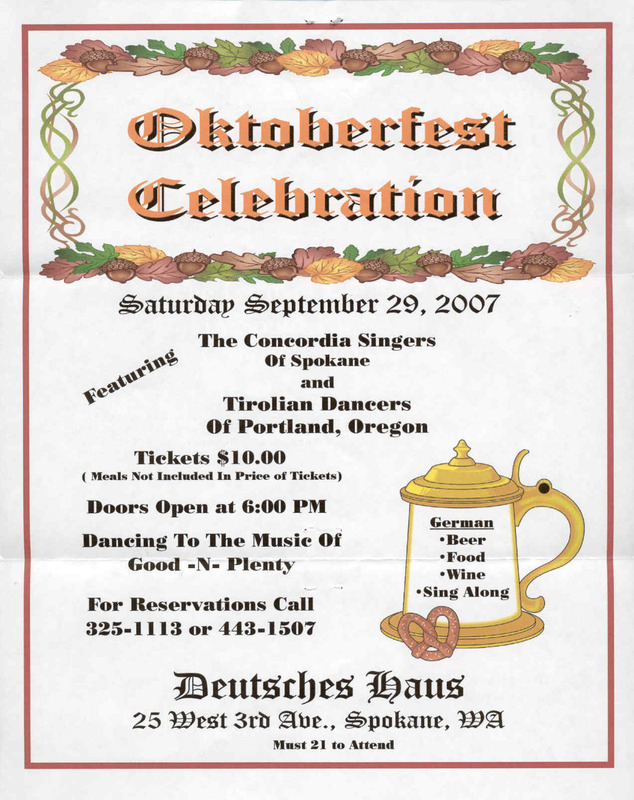 Copyright 2007 German American Society-Spokane. All rights reserved. This website has been created and is maintained by Rich Aspenleiter. If you would like to print the flyer, please click here. This file is stored in PDF format and requires the free Adobe Acrobat Reader to be viewed (Available at this link ).